When building a new home there are many decisions to make! It’s easy to overlook preparing your home for extreme temperatures in exchange for things like choosing countertops, flooring and more. Air sealing is one of the least expensive and most effective ways to help reduce energy loss and keep energy bills low. A leaky home can waste approximately 10 to 15 percent of a home’s heating dollars. Air leaks are found around doors, windows, wires, electrical outlets, ducts and more. Sealing these penetration points will dramatically increase the comfort of your home. Fiberglass insulation is a great way to add R-value to an attic. Upgrading the attic of a new home with spray foam insulation will seal air leaks and add R-value with one step. Spray foam insulation can also minimize external sound bleed and add strength to your home. An uninsulated crawl space or basement can have a huge impact on the comfort of your home. Both areas are in direct contact with the ground and any moisture. When your basement or crawl space is cold and damp, this can cause the floors of your home’s main level to be cold and dramatically affect your comfort. Properly sealing and insulating your crawl space or basement can pay off. 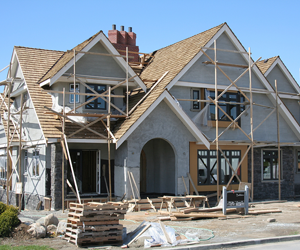 Don’t overlook these key steps of home construction. Your wallet and your family will thank you! If you are ready to insulate a new home, contact us for a free estimate!